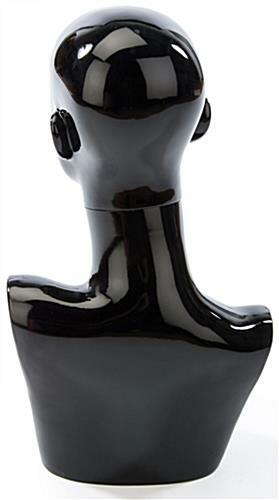 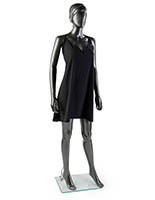 This black female body form, also known as a mannequin torso, is the perfect apparel storefront accessory! 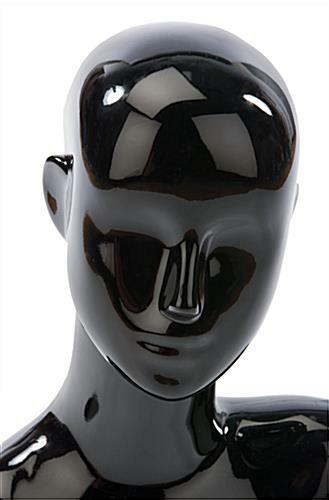 This 18.75"h display has abstract facial features so customers can more easily envision themselves in the clothing. 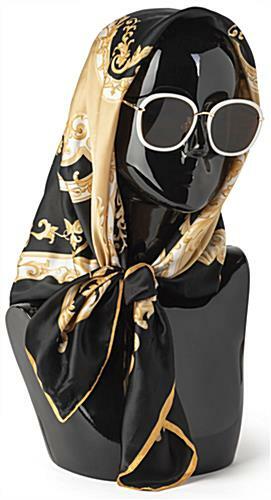 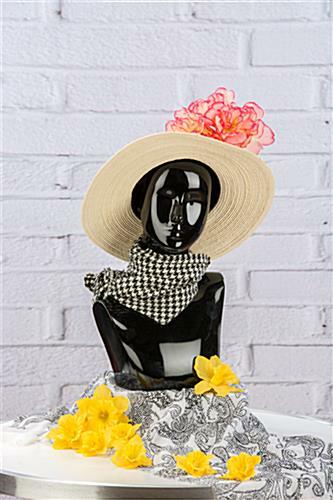 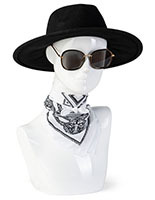 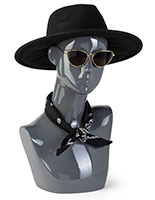 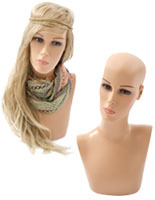 Set the stage for an attractive modern presentation of scarves, glasses, or hats, with this female body form bust. 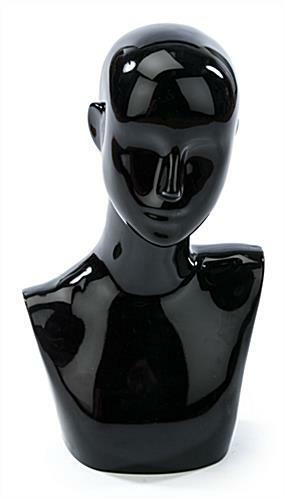 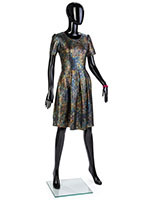 Perfect for boutiques and hair salons, this gloss dress form for women promotes wares while adding character to a shop! 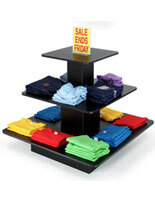 This body form display is a must-have in any classy shop environment selling ladies' accessories!